The provincial government has extended the repayment schedule for the Commodity Loan Program, as well as increasing the funding cap from $120 million to $200 million in a two-year pilot. The Commodity Loan Program is a government initiative that supports farmers between harvest and payment during the retail process of grain production. This program allows farmers to have flexibility in their business operations and continue to build their businesses while waiting on revenue from their production. “The 2018-2019 harvest has been a difficult one for many of our farmer members. Our farmer-members are trying to cope with high levels of DON in corn and the effects it has on cash flow during harvest and the need to purchase seed for this year’s planting season. 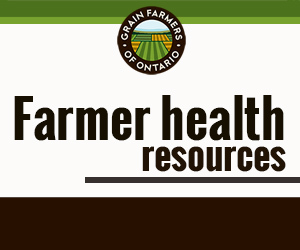 The changes to the Commodity Loan Program that Minister Hardeman has announced will provide our farmers more flexibility in planning and ensuring business and food production continuity for themselves, their customers and consumers,” said Markus Haerle, Chair, Grain Farmers of Ontario. Providing relief for cash flow concerns including extending the Commodity Loan‘s Program limit from $120 million to $200 million with increased flexibility in repayment schedules. 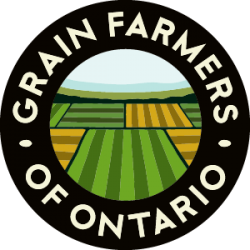 (Grain Farmers of Ontario Unveils Creative Solutions to DON Crisis Ahead of Minister Meeting).